In a court system that’s adversarial and prone to creating conflict, Collaborative Law is a breath of fresh air, helping couples go their separate ways better equipped, with less damage and an earlier start to healing from the pain of divorce. Early studies show that children whose parents chose a collaborative divorce had less trauma, less externalizing negative behavior and better relationships with both parents. So, What Is Collaborative Law? Simply put, in a “normal” divorce, spouses choose an attorney and they battle things out in court. In Collaborative Law, spouses each choose their “collaborative” attorney and they all work together to create the best solution for everyone. 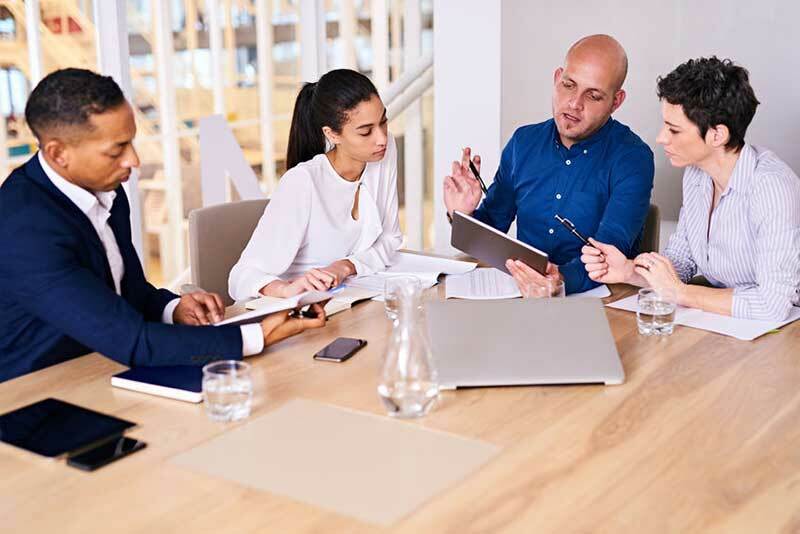 Sometimes other team members are brought in, such as financial planners or CPAs, therapists, parenting evaluators, realtors, and so on. All information is shared with everyone and parties meet multiple times to work everything out. If the couple abandons the process at any point and decides to litigate, both attorneys are barred from representing you. Our managing attorney, Glenn Slate, was one of the early adopters of Collaborative Law. Glenn highly recommends this solution when children are involved. Call us today and let’s talk about whether this is a good solution for you! Get This Vital Information Now! 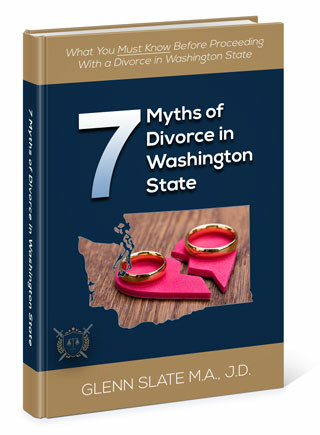 Learn the seven myths you need to know before filing for divorce in the state of Washington. Many of these may surprise you, but you need accurate information on such a serious issue. Click the button below to download your free copy of this educational ebook by Glenn Slate M.A., J.D. "Friendly, professional, and quick service. I highly recommend this law firm." "I highly recommend Glenn and his team of paralegals. They helped me and my family in an extremely stressful situation and resolved our issue in a timely manner. Glen answered all questions and put our minds at ease through the whole process and made us feel he truly cared. Extremely professional law firm."